Which are the current projects you’re involved in? Let me think.. I’ve been working with Dave Stewart quite a bit. We also just finished a project with Joss Stone called “SuperHeavy”. We have been doing that work. With Vince Gill, he’s new record just came out. There is a pop group here called Lady Isabella, very gig pop group, country group. I played in their new record. The other things I’ve been doing are probably a little more obscured and slightly more arty music. I think a record from this project was actually done. I hear it in my studio, which is called “Lab White Studio” and the artist’s name is Pieta Brown. Actually in this record we started a nice project with Richard Bennett, Glenn Worf, myself and a guitar player called Paul Ramsey who plays in a supporting band. Glenn and Richard were my bandmates when I played with Mark Knopfler, and actually Mark plays guitar in one of the tracks of this record. Is it possible a second album from Fortunate Sons (band with many successful Nashville-based artists. Stevie Ray Vaughan’s keyboardist, Reese Wynans in among them)? Oh my God!! Do you know Fortunate Sons??!! We did that album some years ago (2004). It’s now so difficult to get that combination of musicians together. We’re so busy doing different things. I wish it would be done. There are plans to try it. But I just don’t have a schedule yet, so I don’t know when it might happen. Do you enjoy all these lengthy tours with Neil Young or you prefer the studio comforts? I really like to do both. I think playing live and being in the studio, a kind of feed each other. There is something in playing in front of an audience that makes it so special and the energy there is there. When you get back in the studio work all the energy transits into the studio, so I like both. 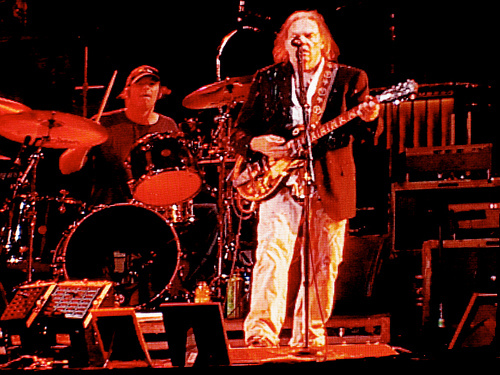 Playing with Neil Young, the greatest rock’n’roll god in the world, is always fine. Had you ever imagined in 1987 that you’ll stay in Neil Young’s band for so many years? Yes, 1987 is the year I started to play with Neil. 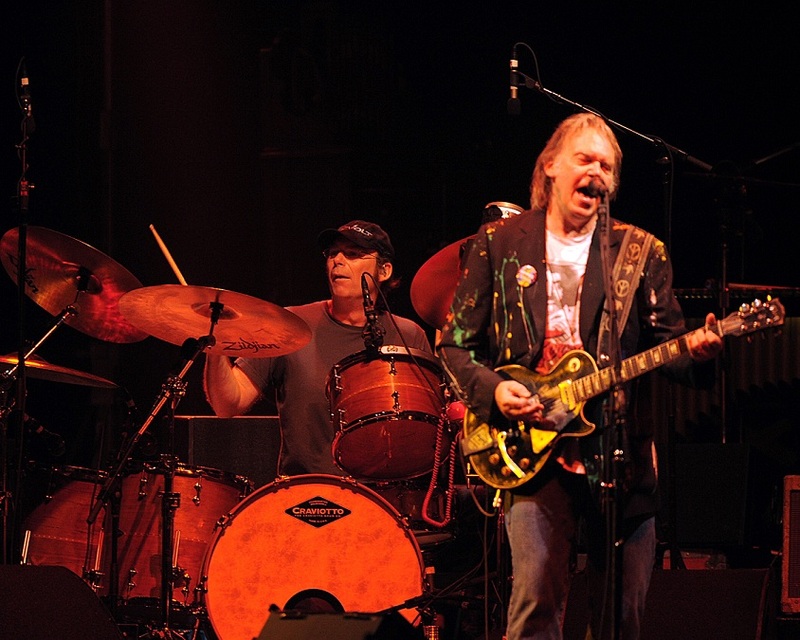 We were then in a band called Neil Young & The Bluenotes and that was the first record I did with Neil. Can you describe us your feelings when Paul McCartney joined you on stage in London in 2009 for ‘A Day In The Life’? (Laughs) You know man, that was one of those things that comes along once in a lifetime. A moment like that was so spontaneous. It was one of the most special moments and experiences in my whole life. I wish my family could be there to see what happened. It was really, really great and you know, musically what was fascinating about that is that Paul had never actually performed that song “A Day In The Life” in concert before. And the thing is this sing he tried to do it with his band and for whatever reason he didn’t do it. He actually knew that we were playing that song for most of that summer. You know what, I remember the day when Neil and the band, we were discussing in Florence, preparing for the first leg of that tour in July. And Neil said “I’ve been listening to “A Day In The Life”. I can’t get this out of my head”. We were sitting in a couch in a hotel room and we got to listen to “A Day In The Life” and I just looked at him and I told he “Man, we get to do this. He get to see if this could song could happen”. And we started working of it, and Paul learned it out that we were doing it -he and Neil are friends anyway- and I think Paul came to that show just from curiosity to see Neil performing that song at Hard Rock Carling Festival and he just jumped onstage on that song, just before his vocal part, which was the part of the song that he wrote. We were onstage and 50.000 people went completely bananas, including Paul. Paul was kind of appeared there out of the blue a little bit. He was very emotional about it. We were overwhelmed in the most beautiful way. It was just a pure musical moment. It was such a special thing. Which is your favourite album from those you did with Mark Knopfler? Was he an easy-going person to work him? Mark is always very easy-going. He is very much in control of what he wants to do. He’s very, very detail-oriented musician and very tolerant. He takes all the responsibility and that, it could take time. That’s a lengthy process when you’re recording music or rehearsing music to play it live in concert. I actually very much enjoy recording with Mark. That is my favourite part of my relationship with Mark, is being in the studio with him. You asked me about the albums, right? My favourite album is “Golden Heart”, only because that was the first one Mark’s solo record as a contemporary artist. I have also done some other albums with Mark, but as a solo artist that was his first one. That was a very special record. I’ve got a lot of fond memories about that. “Sailing to Philadelphia” was quite a fun to make it as well, and the record “Shangri-La” which we recorded it in Malibu, was a good record we made, very different from the other records we did. And ofcourse the duets records with Emmylou Harris. I enjoyed doing that as well. We make one record while we’re working on another record, you know what I mean? That record was strictly dedicating in tracking duets. She joined us while working on other projects. What do you remember the most from the period you recorded with Joe Walsh? (Laughs) These were strange times, man! These were really funny times and there also things I can’t remember, but sure we had a lot of fun. You know, the thing I remember about Joe the most, recording and playing live with him, was how awesome rhythm guitar player is live. He ‘s one the greatest rhythm guitar players alive. You know what it is funny: I’m standing, as I’m talking to you about Joe, I’ve got a picture in my wall in my studio, is a picture of Joe and Neil playing together at a show he did in Cleveland many year ago. It’s a great time to play with those guys, it’s really great. Joe is super-funny, super-intelligent and such an amazing rock’n’roll rhythm player. How was playing in Joe Bonamassa “Dust Bowl” album? I have watched him live and he’s the greatest guitarist I’ve seen with my eyes! You have watched Joe live?! (ed: December 2009 in Athens,Greece). He has recorded some of his records in Santorini! Actually we did a bit of recording with Joe, with Kevin Shirley (Joe’s, Iron Maiden, Journey producer) here in Nashville. That was really, really good. One of these songs, Vince Gill came in and we did some things together. Have you heard that? And then did one more song after that, I don’t have the title over my head, but that was a fun to do as well. I know Joe for a long, long time. Many years ago.. Well, not so many years ago back in the late 90s what Joe started his career, he was an opening act for Peter Frampton. We did a couple of tours and at that time, I was playing with Peter Frampton. So, he toured with us quite a lot. He’s an incredible player. Did you feel comfortable when Jonathan Demme filmed you in his documentaries about Neil Young? That was an intense period of time. That time a lot of things were happening with Neil’s health and that time all lot of things were happening in my life, with my family. That was a very interesting period of time. About some things I don’t want to talk and I can’t talk, it’s private matter. That time we were about to do a concert in Ryman Auditorium and Jonathan would be filming that. We had just made a record in Nashville called “Prairie Wind” and during the recordings of those sessions, Neil found out that he had a brain aneurism and you know how serious that is. He survived but that was very intense time. When we were recording that album, he knew that 4 days after the time we talked, he had to go to New York to have this procedure done. He didn’t know how this thing would end and we were also very concerned about his health thing. We had very private, very confident conversations about that intimate situation and it was an incredible emotional situation. It was very emotional time and the music we made there. This is a very fragile record, very personal. And also his father had also recently passed away, I don’t remember the exact date, but it was a tremendous period about what was going on that time in many ways: Creatively, and personally speaking about his health and his family’s health. When Jonathan interviewed me, I think we rode around in a car, that was right in the middle of all that stuff were going on and I remember when he was asking me all these questions, I was wondering “Why we are in a car? Why we aren’t in the hospital?” I was just blown away by that. Jonathan -I know Jonathan a while know, I got to know him a little bit- he came around a bit in some of the other shows we have done. He has obviously filmed more stuff with Neil since then. You can’t have a better person documenting an artist like Neil, and the band, he’s a member of the band as far as I’m concerned. He’s an official member, you know? He’s a friend of Neil and on the top of that he’s Neil’s biggest fan. Big fan! Big man! Did you feel at any point terrified the first time you played with Willie Nelson? (Laughs). No, not scared at all. But I was very unsure where Willie was gonna go from bar to bar in the song. For a drummer Willie could be very difficult because Willie changes many times his mind, about two-three years in the song arrangements. So, ofcourse you ‘d like to have a close attention to Willie, to let Willie be in charge and not to worry about anything. It’s a lot of fun to play with Willie, he’s a wonderful guy. How much “space” for experimentation there is still in country music? Now, this is one of the best times for experimentation we had in Nashville in many, many, many years. I think these are great times we have in Nashville for experimentation. It’s a very exciting time to be here. There is a very exciting thing that it happens here, it’s not here yet, but it will happen certainly. Bernie Leadon from the Eagles told me that he was told by a record producer in Nashville that “record companies would not accept any record which used a ‘shuffle’ beat, something that was popular is 60s but in 90s was out”. He couldn’t believe that. Is that true? You know, man, I don’t know. I ‘m hardly believing that people in record companies are so close-minded. We was told that thing? You’re saying that Nashville record companies will not sign any traditional country music. That’s what you’re saying, right? Right now, country music really has an identity crisis. You know what country music is now: it’s a pop music formula and if something sells, everybody has to buy it. Every record company wants to have the same product that sells to the other record company. I understand that record companies have always been that way. But I can’t speak about the record companies what will or will not have. I know that, I have played in a couple of projects that have sounded very traditional, similar to the 60s and one artist in particular was signed to Universal, that has very much that traditional sound, and you know that: the record hasn’t come out yet and I don’t know when it will. Is there anyone musician you’d like to play with and hasn’t happened yet? Anyone: maybe with Bob Dylan or Tom Waits? Haven’t? Well, I would love to record with Bob Dylan. I don’t know if I ‘d like to do shows with Bob Dylan, for certainly I’d like to record in the studio with him. Let’s see.. Very, very good question. You know, my all time favourite guy is Keith Richards and I did play with Keith at a show at Ryman Auditorium eight years back. I was such a dream to play with Keith. I would really like to do that again. I would really like to do a record for him. I actually feel that way about Mick Jagger as well, as a solo artist, I’d love to do a project with Mick. I’m a huge Rolling Stones fan (laughs). Who are your influences as a drummer? I don’t know. The greatest influence for me is Al Jackson, the drummer from Stax Records in Memphis and Memphis is my hometown. And the person who started Stax Records whose is called Jim Stewart and his partner at the time, his name is Bobby Manuel, these two men was very instrumental in training me as a studio drummer. Al Jackson was my mentor, even Al was away then, he was gone, he was my menton. That’s who I started with, that was who influenced me into really live playing. To be honest, I was thinking that Levon Helm (The Band) would be an major influence for you.. Yes, Levon is an influence, no doubt. Actually, there are several different ones. There is Al Jackson, Levon and ofcourse Ringo and there are guys away back, I mean Buddy Rich, he was tremendous guy, He was so exciting to watch him playing. I remember watching him on TV as a little kid and I loved him. 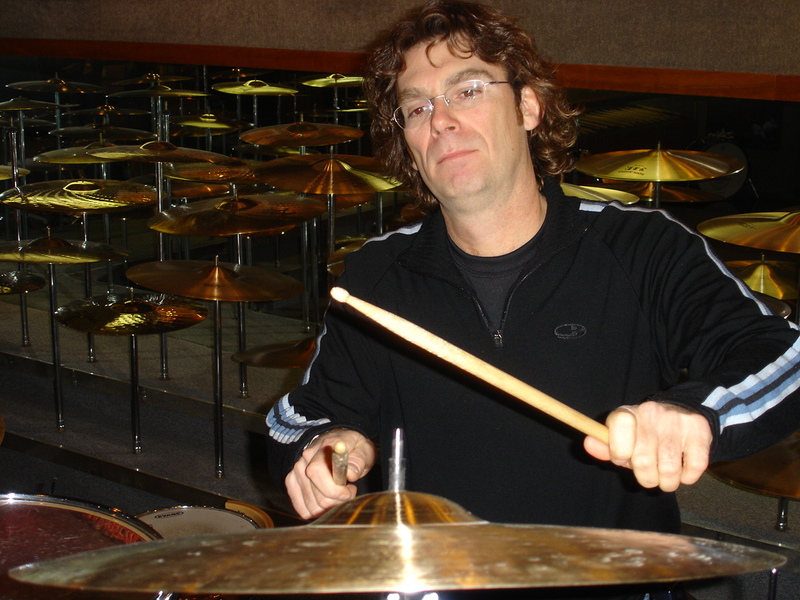 And then more contemporary guys, you know who Bill Bruford (Yes,King Crimson drummer) is? I’m the only Greek who have talked to Bill Bruford! He gave me an interview in July 2010. Bill Bruford is one of the biggest drummers. Great drummer! During the interviews I take, many musicians tell me that they would like to work with Buddy Miller (currently plays with Robert Plant). Is he so good as they say? I’ve been able to do some sessions with Buddy and yeah, he’s incredible. Was it a shock for you, Ben Keith’s death? He was a really great musician! He was like a family member for us. If you look at Neil’s history, you can see that is a short of wheel-turning of family members, it’s a cycle where people come and go, in and out of Neil’s creative life. Noone of those people ever go away, we’re all joining together as a family and we’ re very very close. And even we don’t see each other for a long period of time, we’re all very close to each other and love each other and respect each other. When Ben passed that was a huge loss for all of us. He was so important to Neil, indeed. He was very important to Neil’s music. He was one of the sweetest guys I’ve ever known. He was a great guy. I would love to be there. Unfortunately, I was about to play there twice: one time with Neil and the other time, some years ago with Mark Knopfler, but both shows were cancelled. So, I’d love to play there, you live in such a historic place and it’s sad you’re now in the news. I know Greek people aren’t as bad as we watch on TV. Greek people aren’t, but Greek politicians they are. So, why you don’t get rid of those politicians? Right now, they are doing everything not to hold elections!! A huge “THANK YOU” to Mr Chad Cromwell.